New York Times bestselling author Nicole Jordan has penned more than 30 historical romances that simmer with passion and sensuality. Set in numerous eras and locales, Nicole enjoys chronicling the sparks that fly when Regency lovers play the matrimonial mating game. Her latest novel, My Fair Lover (2017), earned a starred review from Publishers Weekly, a Best Book nod from Amazon, a Fresh Pick from Fresh Fiction, and a Top Pick from RT Book Reviews. Other honors include RITA finalist, Romantic Times Career Achievement Award for Historical Romance, and the Dorothy Parker Award of Excellence, presented by a group of more than 100 romance reviewers. Nicole grew up an Army brat, earned a civil engineering degree from Georgia Tech and worked as a manufacturing manager making disposable diapers and toilet tissue. She now lives in Cincinnati with her beloved show horse, EZ. 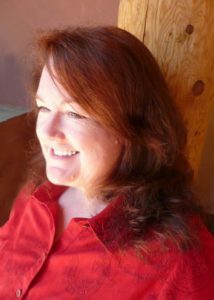 Host Patricia McLinn talks with Nicole about transitioning from an engineer to an author, how secondary characters make great sequels, and why characters must suffer.